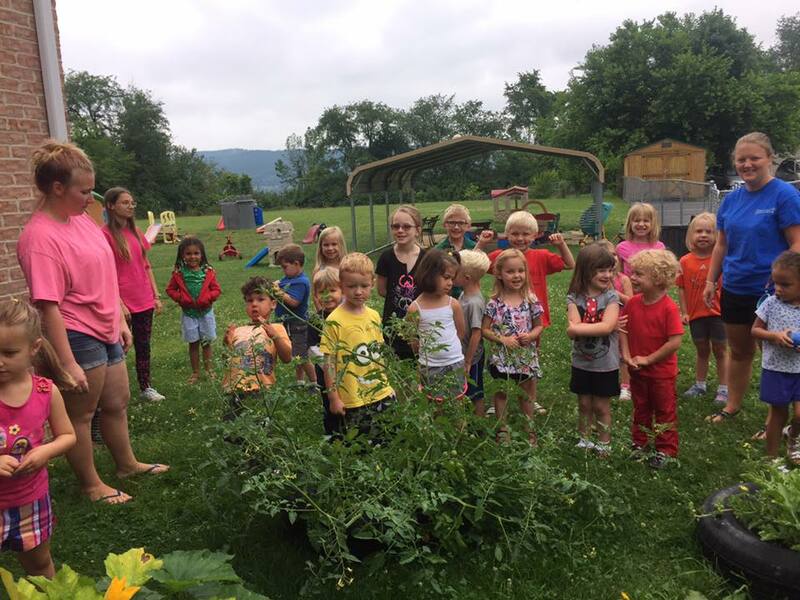 Programs – Kid’s Court Child Care and Learning Center Inc. Welcome to the Infant Room! Our Infant Program serves children ages six weeks to one year. The Teacher to Child ratio is 1:4. 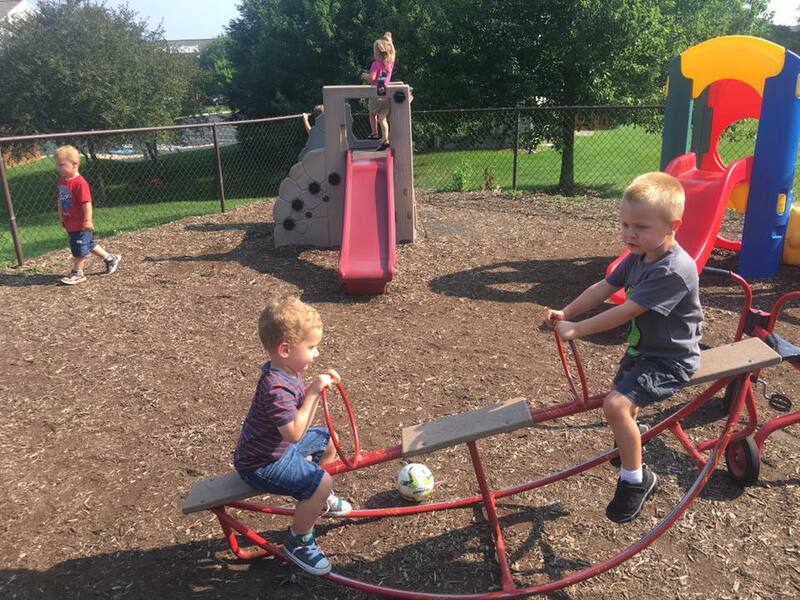 Within this program, you can expect to find a safe and friendly environment, educated and knowledgeable teaching staff, daily communication, and a variety of manipulations that stimulate gross motor development and sensory exploration. As part of our ongoing commitment to meet the needs of your child, Kid's Court will conduct two developmental assessments on your child each year. Currently, Kid's Court uses the Ages and Stages Questionnaires: Social Emotional (ASQ:SE) to perform these assessments. The ASQ forms are designed so that our teaching staff will be able to assess social-emotional skills in seven developmental areas: self-regulation, compliance, communication, adaptive functioning, autonomy, affect, and interaction with people. Typically, these assessments will be conducted six months apart in order for parents to see appropriate developmental progress or possible delays. A copy of each assessment will be given to the parent(s) or guardians of each child. If further evaluation is needed after the ASQ:SE assessment is scored, Kid's Court will provide appropriate resources to do so. Welcome to the Mobile Infant Room! 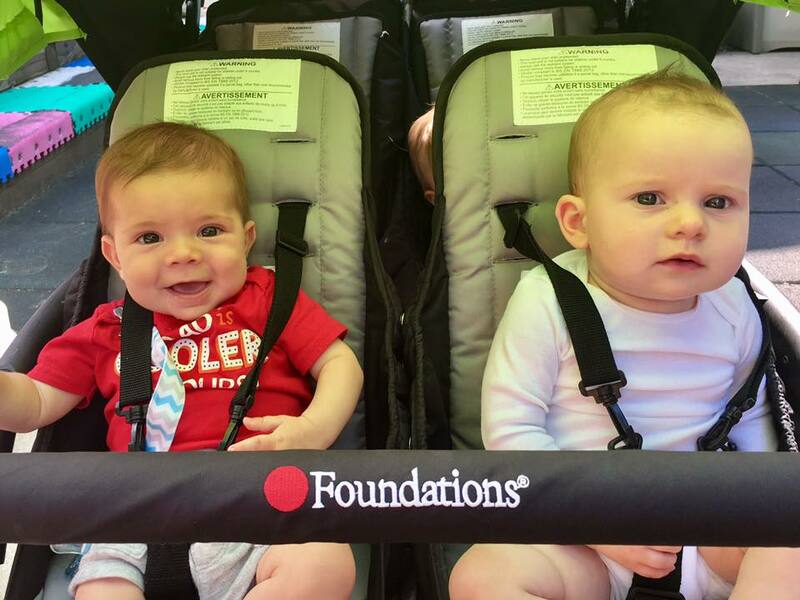 Our Mobile Infant Program serves children ages twelve months to two years. The Teacher to Child ratio is 1:5. Within this program, you can expect to find a safe and friendly environment, educated and knowledgeable teaching staff, and daily communication. 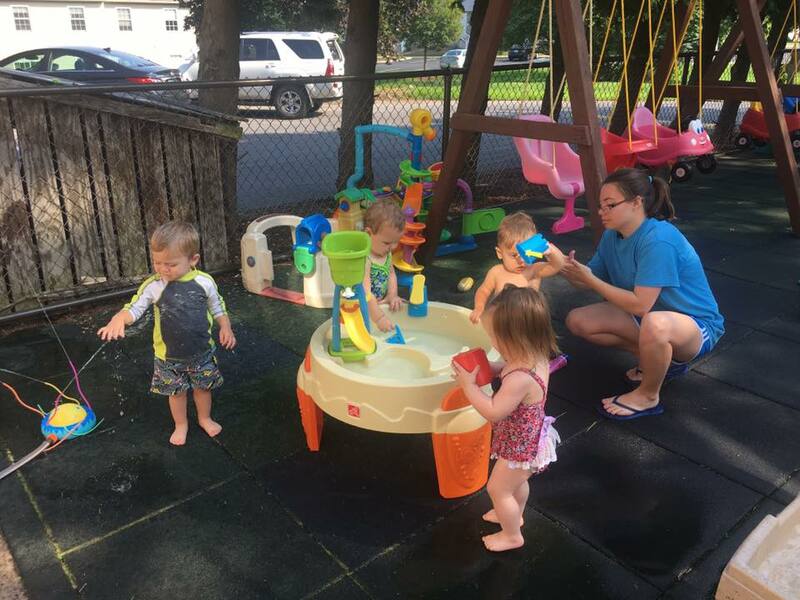 Our goals in this program are to support the major areas of child development, including social and emotional, fine and gross motor skills, cognitive skills, and language. *Please request a CAFCP approved menu in the office! 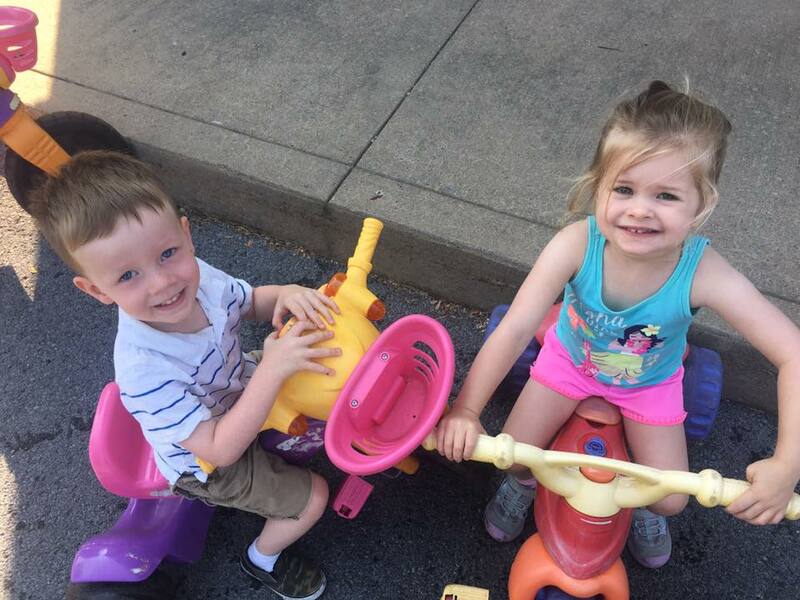 As part of our ongoing commitment to meet the needs of your child, Kid's Court will conduct two developmental assessments on your child each year. Currently, Kid's Court uses the Ages and Stages Questionaires: Social Emotional (ASQ:SE) to perform these assessments. The ASQ forms are designed so that our teaching staff will be able to assess social-emotional skills in seven developmental areas: self-regulation, compliance, communication, adaptive functioning, autonomy, affect, and interaction with people. Typically, these assessments will be conducted six months apart in order for parents to see appropriate developmental progress or possible delays. A copy of each assessment will be given to the parent(s) or guardians of each child. If further evaluation is needed after the ASQ:SE assessment is scored, Kid's Court will provide appropriate resourses to do so. Welcome to the Toddler Room! 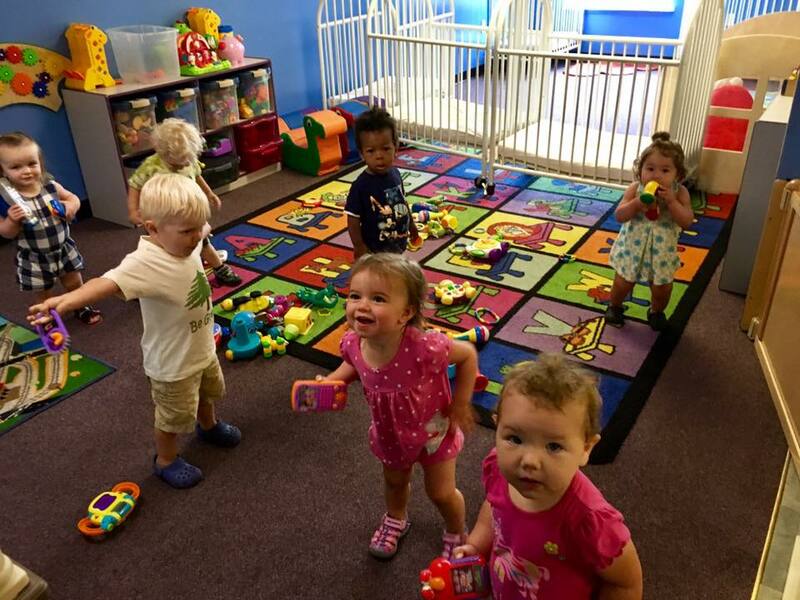 Our Toddler Program serves children ages two years to three years. The Teacher to Child ratio is 1:6. Within this program, you can expect to find a safe and friendly environment, educated and knowledgeable teaching staff, and daily communication. 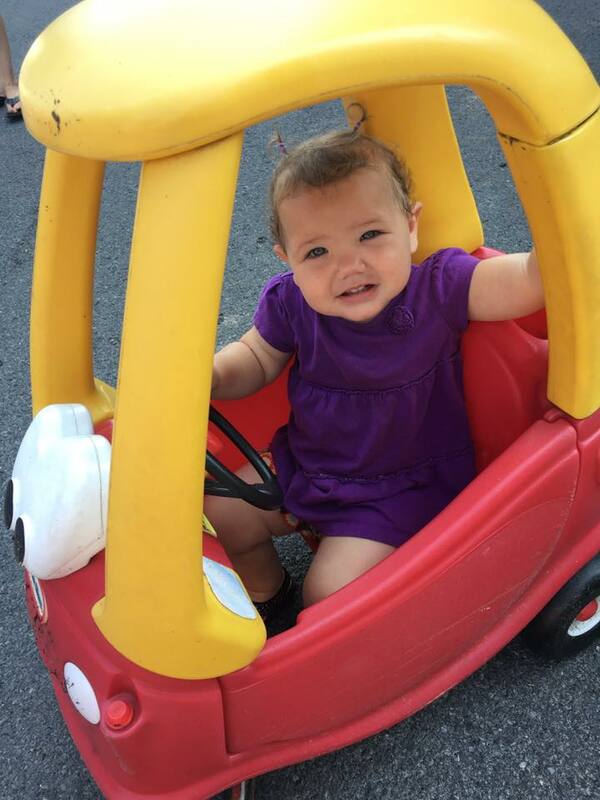 The Toddler Program will continue to build on developmental skills learned in our Mobile Infant Program. Manners, cooperation, and self-help skills are incorporated into the daily routine. 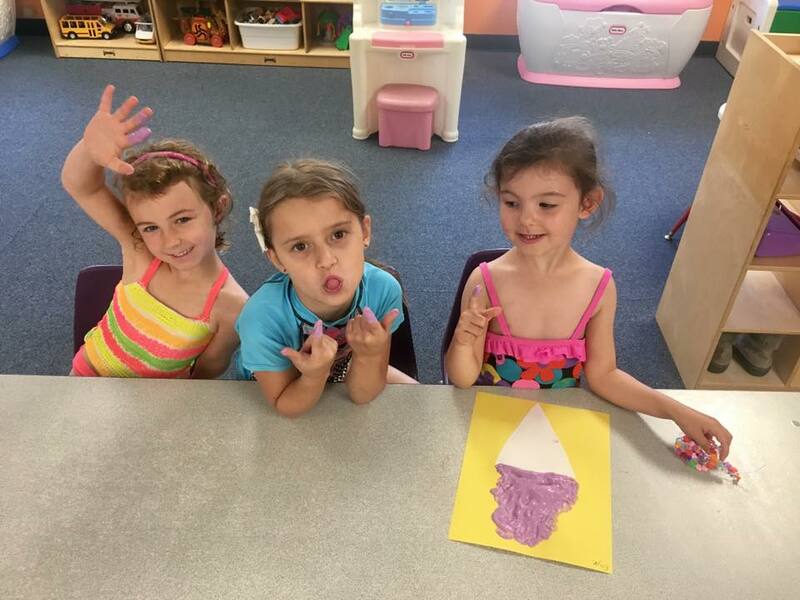 A structured curriculum and weekly themed lesson plans allow for fun and learning all at the same time! * Please feel free to request a copy of our CACFP approved menu in the office! As part of our ongoing commitment to meet the needs of your child, Kid's Court will conduct two developmental assessments on your child each year. Currently, Kid's Court uses the Ages and Stages Questionnaires: Social Emotional (ASQ:SE) to perform these assessments. 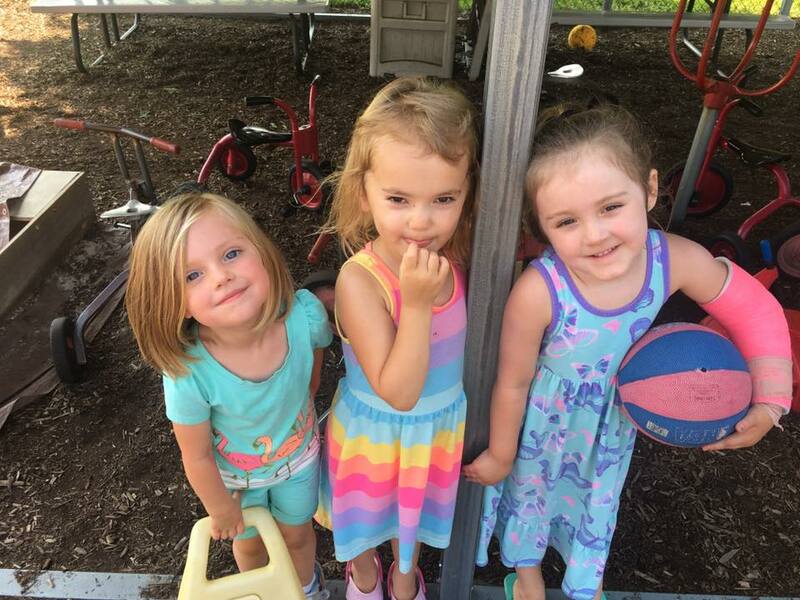 The ASQ forms are designed so that our teaching staff will be able to assess social-emotional skills in seven developmental areas: self-regulation, compliance, communication, adaptive functioning, autonomy, affect, and interaction with people. Typically, these assessments will be conducted six months apart in order for parents to see appropriate developmental progress or possible delays. A copy of each assessment will be given to the parent(s) or guardian of each child. If further evaluation is needed after the ASQ:SE assessment is scored, Kid's Court will provide appropriate resources to do so. Welcome to the Preschool Room! 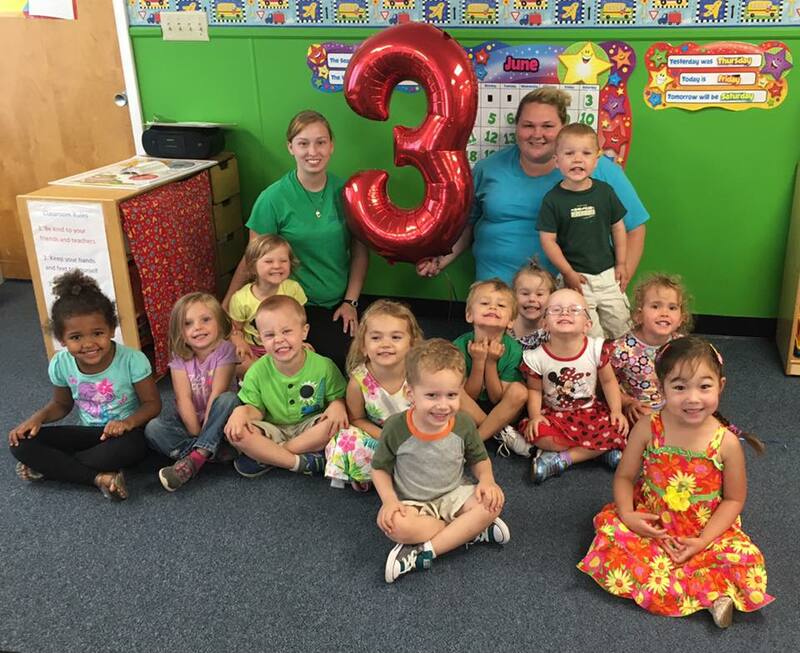 Our Preschool Program serves children ages three years to four and a half years. The Teacher to Child ratio in this classroom is 1:10. The focus in this classroom is Pre-Kindergarten readiness! There is a structured schedule and appropriate behavior expectations are made clear to the children. Manners, respect for others, and group cooperation is strongly emphasized. As part of this program, plenty of guest speakers and field trips are added throughout the year to enhance weekly lesson plans. * Please request a copy of our CAFCP approved menu in the office! Welcome to the Pre-Kindergarten Room! Our Pre-K Program serves children ages four and a half years to five years. The Teacher to Child Ratio is 1:10. Within this program you can expect to find a safe and friendly environment, educated and knowledgeable teaching staff, and daily communication. The focus in this classroom is Kindergarten Readiness. An age appropriate curriculum and daily classroom schedule gives the children structure, and allows for fun and exploration at the same time! Field trip and guest speakers are also added throughout the year to enhance weekly themed lesson plans. Manners, patience, and respect for teaching staff and other classmates is always a focus in the Pre-Kindergarten Classroom. 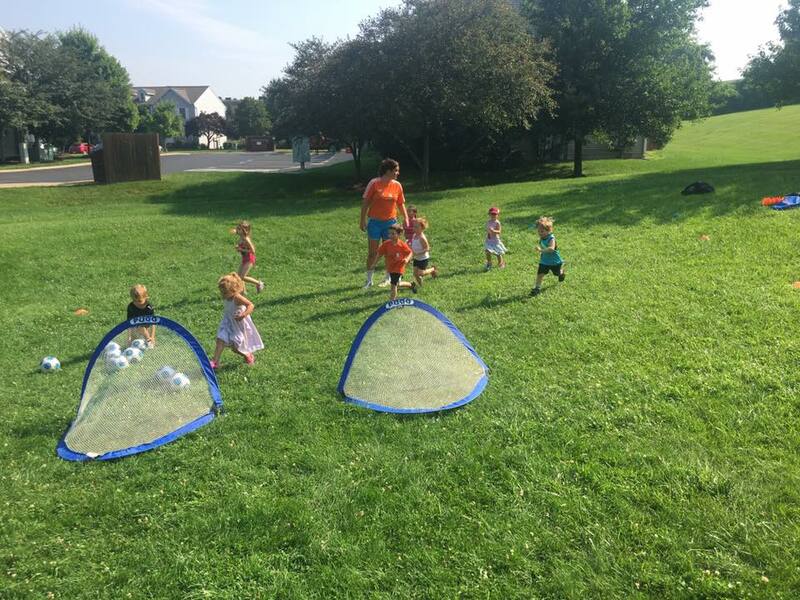 9:45 am - Outdoor Playground or Indoor Gross Motor Activity and Daily "Special"